I made the last minute effort to order flowers online and made sure it will be delivered on time. Choosing the flowers was easy. I got stuck when I had to fill-in the message. For how do you express insurmountable gratitude and love in limited words? How do you make someone feel that despite distance, she remains to be, as what the song says, the wind beneath my wings? Today in Manila and in other parts of the world, we celebrate Mother’s Day. We all have our own stories and our own different ways of paying tribute to our mothers. The language of love between a mother and a child is a sacred space where only the two of them can enter and fully understand. My mother being a Math teacher, I initially would like to express my love in a language she knows best – numbers. I would like to say, “I Love You Mama from where I am to where you are and the distance between those two points is 6,679 miles” or something like, “I have loved you since I was born and that is 12,592 days or 18,132,480 minutes”. But to express it that way means, I am putting a finite measure of my love. 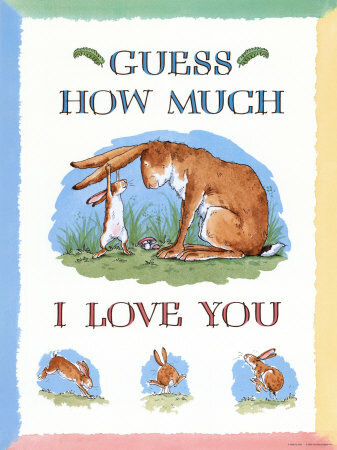 To my Mama – Just like the Little Nutbrown Hare, I would like to ask you, ‘Guess How Much I Love You?’. Don’t guess, as the probability of getting the right answer is small. For there is no measure, I couldn’t measure. But let the remaining length of my days be the gauge as I will love you and I promise to take care of you for as long as I live. Happy Mother’s Day. Thank you for everything. May this day be a grace-filled day to everyone. God bless us all! Just say “I love you to infinity”. 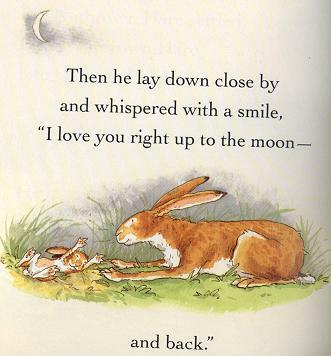 Then she’ll tenderly whisper to you, in math mama’s language “I love you to positive infinity +1.” Depending on how naughty you’ve been, she’d follow it up with an explanation of relative maximum. I love that book, too. I read it about 7 years ago and since then I have been thinking of helping the author express the message in more precise form. Thank you for your post. It made me think of this latest version. Should I write the author? Nah … not all mama likes math. Ok, I really can’t resist not to write “great writing” this time. I am blessed to have her. It’s Evz here ! mwah! miss you very much my friend. Got friend who have blog website too, and so tried to google your name if you have one and make no mistake OLA found you like a star !!! Sorry I dont have FB account and FB site is blocked at d office hehehe. Surfing net at home is not my priority once Im home… ‘u know daming household chores..
Will subscribe to your site para will get your updated posts,, Keep this up Eyds, you are an inspiration… .